But for adults, pharmacists could be doing much more across the country, says Professor Paul Van Buynder. 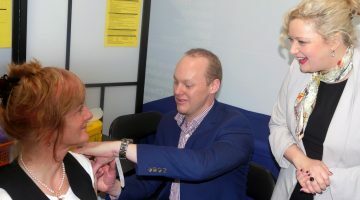 In response to a number of cases of whooping cough on the Gold Coast this week, Pharmacy Guild of Australia Queensland branch president Trent Twomey said that pharmacists practising at the full scope of their training could help prevent such outbreaks. Around 15 students at the Palm Beach State school have been diagnosed with the disease. Earlier this week, parents of unvaccinated children, and those with symptoms of whooping cough, were told to keep them home from school until the end of the upcoming school holidays, on October 8. The Gold Coast Bulletin reports that a number of parents, particularly those who also have babies, have been doing so already. “Community pharmacists are highly trained health professionals and have been safely administering flu vaccinations in Queensland for years,” Mr Twomey said. “The safety, convenience and accessibility to receive a flu vaccination via a local community pharmacy has seen improved immunisation across the state. “I urge the Queensland Government to follow the lead of other jurisdictions such as Tasmania, where community pharmacists are able to vaccinate adolescents, for an increased range of disease states, from the ages of ten. In response, Gold Coast University Hospital’s Professor Van Buynder said most adolescents already have good access to whooping cough vaccination, and reiterated his opposition to the vaccination of children in pharmacy. “Queensland has a school program that gets at least 85% of adolescents in grade seven, so it’s not an issue,” he told the AJP. “These children are having doses at two, four, six and 18 months, and then four years, then the booster in the first year of high school. Very few children would thus need a booster in adolescence, he said. The incidence of whooping cough on the Gold Coast is not as severe as it might look at first glance, he said. “It’s uncommon to have 15 children in the same school, and it’s clear that this is not what we’d normally expect. But there have been about 110 whooping cases this year, down from around 150 this time last year. Prof van Buynder told the AJP that he would like to see pharmacists across all states given the ability to administer more vaccines. 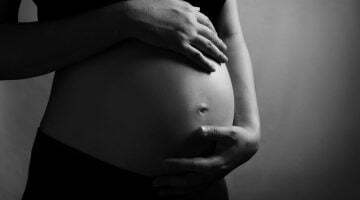 “Our major focus is to make sure we get pregnant women vaccinated, to give antibodies to babies; then making sure their child gets their routine scheduled vaccination for whooping cough,” he said. “We’re doing much better with vaccines in pregnancy: on the Gold Coast we’re at 85% [pregnant women vaccinated against whooping cough], and we were at 30% a couple of years ago. Over recent years there have also been moves to encourage grandparents-to-be to be vaccinated against these diseases as well, but Prof van Buynder pointed out that older people should consider doing so anyway. “This can protect young children, though it’s less important if the mother’s vaccinated in pregnancy. “But people don’t understand that it’s quite nasty in old people as well. Old people break ribs from coughing, they get hospitalised. There’s a definable death rate in older people with whooping cough. “I have no understanding why adult MMR, Boostrix, flu vaccines aren’t available in every pharmacy. These are very safe vaccines. “There are places where exactly this happens. You can get your shingles vaccine in pharmacy. I’ve just completed the process of getting my Shingrix, the GSK one, done in two doses. “I first walked into a pharmacy in Vancouver in March, then with a little more difficulty in Toronto in July – in Toronto they said they could do it but needed a script. “So one’s OTC and one on prescription, but even so, there’s no big deal with an adult being given any one of these vaccines. 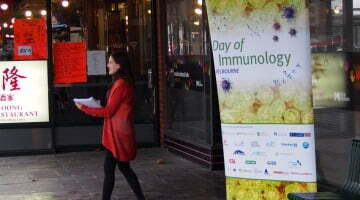 Vaccination: GP, pharmacy or café?